“Therefore, after Alma having established the church at Sidom, … seeing that the people … began to humble themselves before God, and began to … worship God before the altar, watching and praying continually, that they might be delivered from Satan, and from death, and from destruction” (Alma 15:17). Following their miraculous escape from wrongful imprisonment in Ammonihah, Alma and Amulek went to the land of Sidom, where they found some of their converts had also fled (Alma 15:1). The land of Sidom proved to be more welcoming to the missionaries and their gospel message. Alma “established a church in the land of Sidom,” no doubt after the same order as that in Zarahemla. Many who “were desirous to be baptized … did flock in from all the region round about Sidom, and were baptized.” (vv. 13–14). As a result of this success, the people humbled themselves, and “worship[ed] God before the altar, watching and praying continually, that they might be delivered from Satan, and from death, and from destruction” (Alma 15:17). Altars had many important functions in the worship of ancient Israelites and Nephites alike. Lehi built an altar in the wilderness to offer sacrifice (1 Nephi 2:6–7; cf. 5:9; 7:22), the primary function of altars in the Old Testament. He that smiteth a man, so that he die, shall be surely put to death. And if a man lie not in wait, but God deliver him into his hand; then I will appoint thee a place whither he shall flee. But if a man come presumptuously upon his neighbour, to slay him with guile; thou shalt take him from mine altar, that he may die. This legal text was known to Nephi, and it was quoted to him by the Spirit when he was prompted to slay Laban (see 1 Nephi 4:11–12, 17). Interestingly, while Nephi did not flee to one of the six designated Levitical cities of refuge, he did flee generally from the land of Israel and specifically to his father’s camp, where an altar dedicated to the Lord had been made (1 Nephi 2:6–7; 5:9; 7:22). Altars are mentioned only three times in the Book of Mormon. The first is Lehi’s “altar of stones” (1 Nephi 2:7). 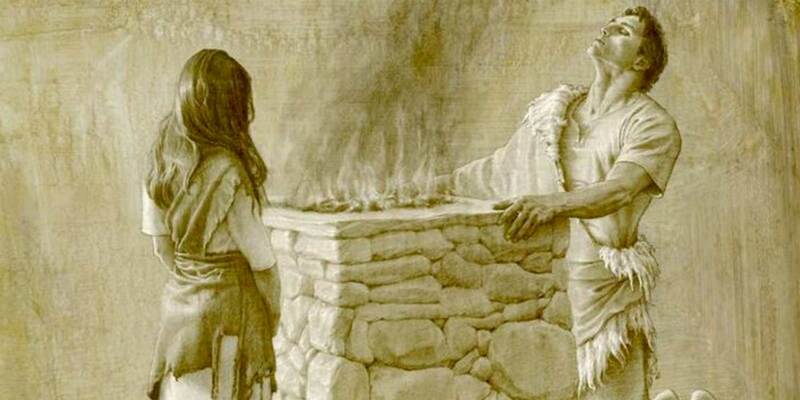 Nephi fled to his father’s camp for refuge after killing Laban, where this altar was used for “sacrifice and burnt offerings” upon his return (1 Nephi 5:9). The second is in the land of Sidom, where the people sought deliverance “from Satan, and from death, and from destruction” (Alma 15:17). The final mention of an altar is in reference to the converts of the sons of Mosiah coming “before the altar of God, to call on his name and confess their sins before him” (Alma 17:4). 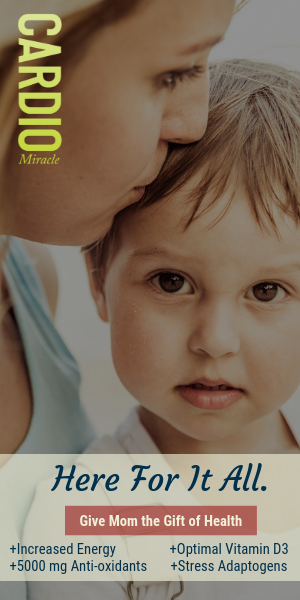 Understanding altars as places of both sacrifice and deliverance in the Book of Mormon leads to greater understanding of God’s love and protection of His children through the atonement of Jesus Christ. Whenever an injustice is about to be perpetrated, when a person has taken flight from an accuser who is wrongly pursuing and threatening them, God has designated for them a place of safety and deliverance. That place is an altar, a place of sacrifice, a “type and shadow” of the coming sacrifice of the Lamb of God unto “the power of his deliverance” (Mosiah 3:15; Alma 7:13). Such an altar is in a holy place, administered by prophetic or priestly authority and supported by a righteous community that stands prepared to receive those who seek refuge and deliverance (see Alma 27:20–24). While God asks all who come before the altar to make personal sacrifices, refuge from the storms of life, deliverance from sin, relief from worldly concerns, victory over spiritual death, and a shield from the forces of destruction. David Bokovoy, Authoring the Old Testament: Genesis–Deuteronomy (Salt Lake City, UT: Greg Kofford Books, 2014), 14. David E. Bokovoy and John A. Tvedtnes, Testaments: Links between the Book of Mormon and the Hebrew Bible (Tooele, UT: Heritage Press, 2003), 166–167. David Bokovoy, “A Place of Deliverance: Altars in the Hebrew Bible and Book of Mormon,” Insights: A Window on the Ancient World 21, no. 2 (2001): 2. Alison V. P. Coutts, “Refuge and Asylum in the Ancient World,” M.A. Thesis in the David M. Kennedy Center (Provo, UT: Brigham Young University, 2001), esp. 71–83. See Book of Mormon Central, “What Kind of Earthquake Caused the Prison Walls to Fall? (Alma 14:29),” KnoWhy 121 (June 14, 2016). On the establishment of the church in Zarahemla, see Book of Mormon Central, “Why Did Alma Need to ‘Establish the Order of the Church’ in Zarahemla Again? (Alma 6:4),” KnoWhy 114 (June 3, 2016). 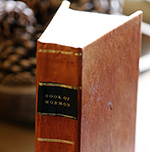 See Book of Mormon Central, “How Could Lehi Offer Sacrifices Outside Jerusalem? (1 Nephi 7:22),” KnoWhy 9 (January 12, 2016). David Bokovoy, Authoring the Old Testament: Genesis–Deuteronomy (Salt Lake City, UT: Greg Kofford Books, 2014), 14. See Bernard S. Jackson, Wisdom Laws: A Study of the Mishpatim of Exodus 21:1–22:16 (New York, NY: Oxford University Press, 2006), 138–139. Also see Alison P. Coutts, “Refuge and Asylum in the Ancient World,” M.A. Thesis in the David M. Kennedy Center (Provo, UT: Brigham Young University, 2001), 77–78. See John W. Welch, “Legal Perspectives on the Slaying of Laban,” Journal of Book of Mormon Studies 1, no. 1 (1992): 119–141. Bokovoy, Authoring the Old Testament, 14. Bokovoy, Authoring the Old Testament, 14. Bokovoy first made this argument in David Bokovoy, “A Place of Deliverance: Altars in the Hebrew Bible and Book of Mormon,” Insights: A Window on the Ancient World 21, no. 2 (2001): 2. It also appears in David E. Bokovoy and John A. Tvedtnes, Testaments: Links between the Book of Mormon and the Hebrew Bible (Tooele, UT: Heritage Press, 2003), 166–167. A fourth mention in 2 Nephi 16:6 is a quotation of Isaiah 6:6. S. Kent Brown has argued the “burnt offerings” here were offered as atonement for Nephi’s slaying of Laban. See S. Kent Brown, Voices from the Dust: Book of Mormon Insights (American Fork, UT: Covenant Communications, 2004), 9. Bokovoy, “A Place of Deliverance,” 2; Bokovoy and Tvedtnes, Testaments, 167.